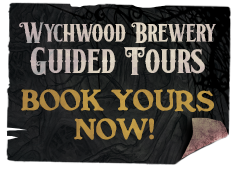 A hidden treasure has been unearthed in the Wychwood Brewery… and it’s as pure and precious as it’s forefather. 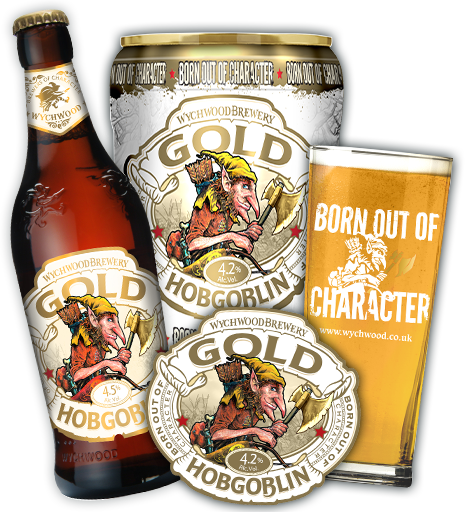 Hobgoblin Gold is the latest beer carrying the little fella’s moniker, and while Gold might be lighter in colour, it’s definitely no lightweight. 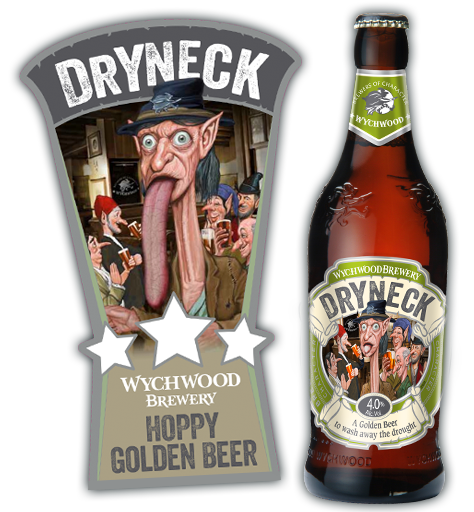 A combination of hop varieties & an infusion of wheat and malted barley has resulted in the perfect golden beer – with a huge hop punch. 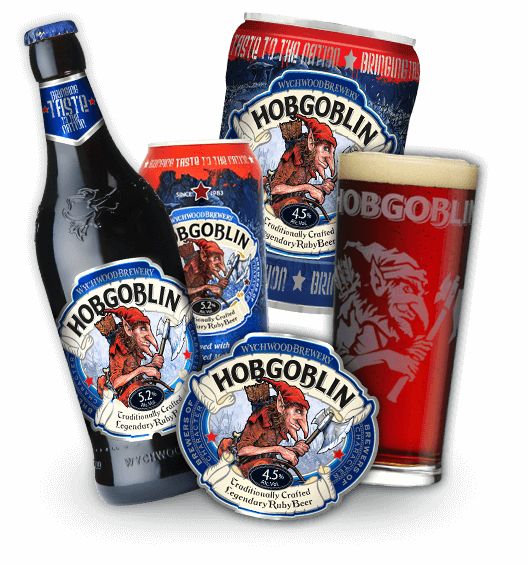 Heftily hopped & aroma packed, Hobgoblin IPA stays true to its ancestral traditions. 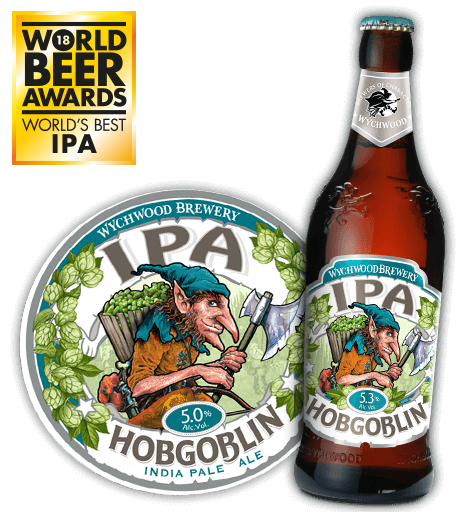 Brewed with Fuggles, Golding & Styrian hops and then amped up by the addition of some mighty American hops. This collision of Old and New World hops provide an explosion of tropical aroma and a juicy bitterness. Born out of character. Brewed only on a Full Lunar Moon. As the full moon casts its eerie light over the shadowy old Eagle Brewery, a magical brew gurgles forth from the casks. A beer enlivened by the energies of the universe, when the elements are converging into a harmonious alignment. Truly a brew fit for a celestial majesty. 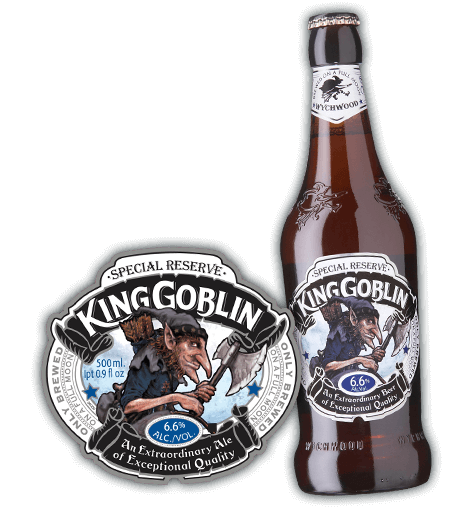 King Goblin is hand crafted from roasted chocolate and crystal malts, with a timely infusion of fuggles, sovereign, styrian and cascade hops to produce an indulgently rich, full, smooth beer of exceptional quality and character. 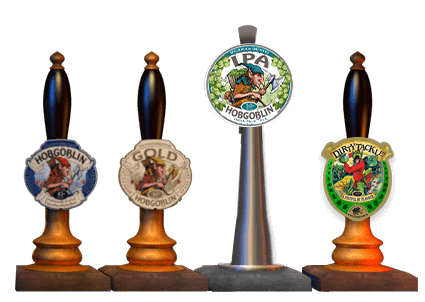 A full, rich, sublimely fruity & satisfying indulgent beer; a beer for the connoisseur of the finer things. 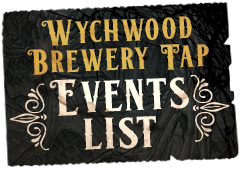 Once again the Black Wych has cast her spell. Start with a measure of alluringly rich dark malt and allow the bitterness to creep in. Watch out for the caramel sweetness lurking behind. 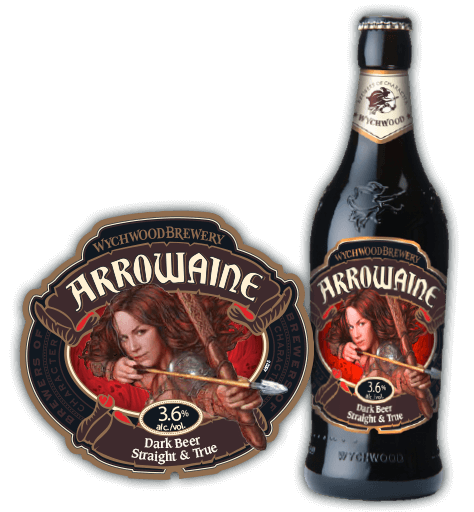 This silky smooth 5% ABV Porter is no taboo, she is a spellbinding force to be reckoned with. 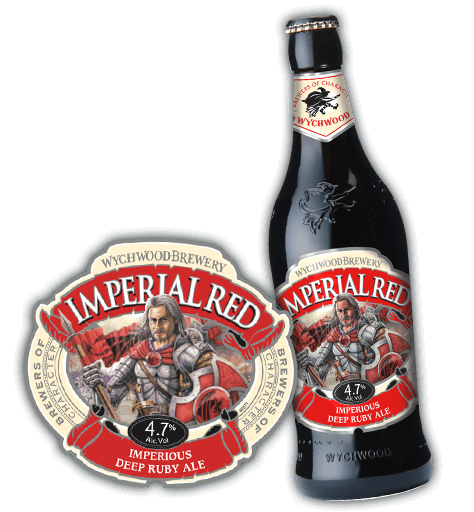 Do not fear the Imperial Red who comes in peace to liberate your taste buds with his robust yet succulent beer. 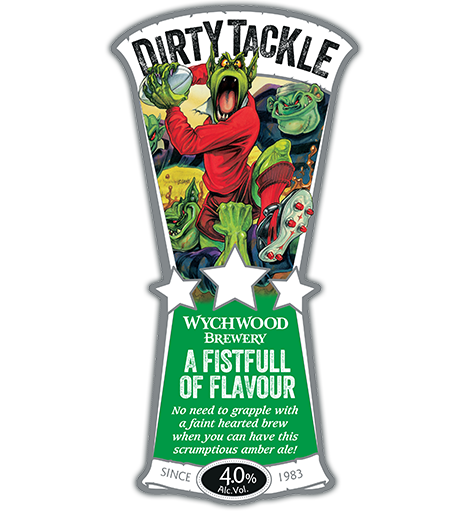 A toasted malt flavour balanced by a bold pronounced hop delivered in a rich ruby 4.7% ABV beer. Fresh off his cart is No.4. It’s an unpasteurised shimmering blonde concoction of fruits. Instant refreshment with an insanely fragrant aroma. 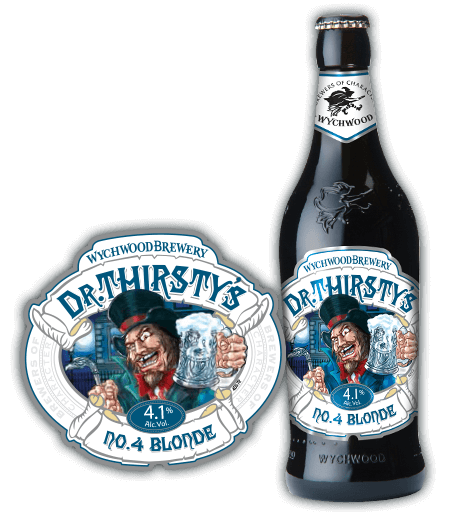 No.4 is the first of the good DR’s elixirs to emerge from his apothecary. 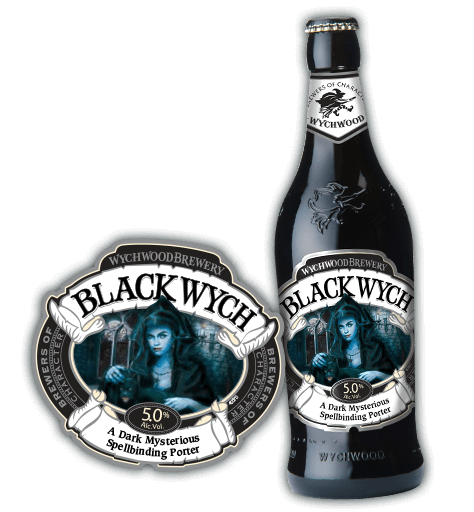 We expect more brews to follow from this enigmatic character. A dazzling 3.5% golden beer. The warming hints of honeyed nectar will spark the intense & sharp gooseberry flames. 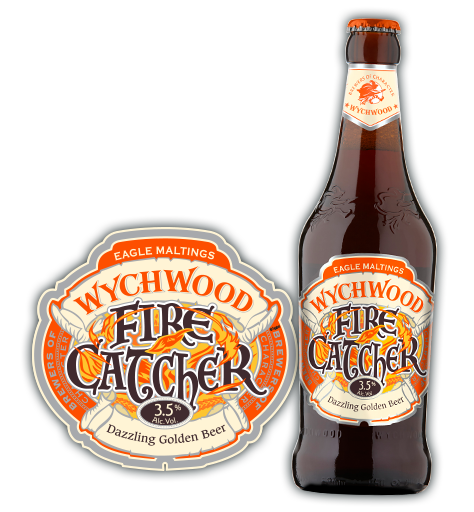 A refreshingly crisp catch smouldering in a citrus aroma that will leave you glowing from inside. 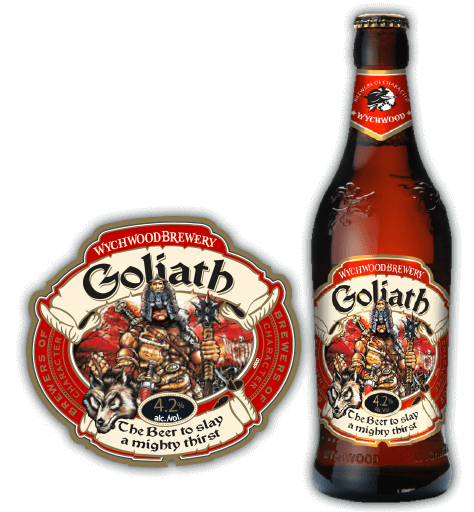 The Beer to Slay a Mighty Thirst. A full bodied & robust ruby bitter brewed with Pale Crystal malts, with a rich malty taste & a hefty whack of Fuggles & Goldings hops. The perfect beer to quench the driest of throats. The combination of exotic Belma, Waimea and Bobek hops and Munich malts; result in a mouth-watering beer to stop any drought. Tis the season to be jolly – oh no it isn’t! 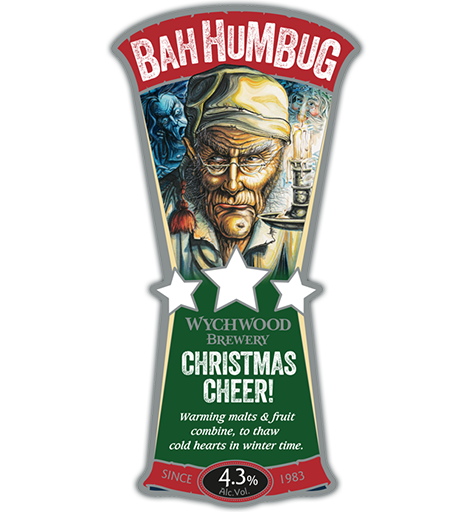 At least you can take refuge from the Christmas shopping with this rich, fruity spiced ale guaranteed to make even the most seasoned party pooper smile.